Despite how you might feel YOU ARE NOT ALONE. 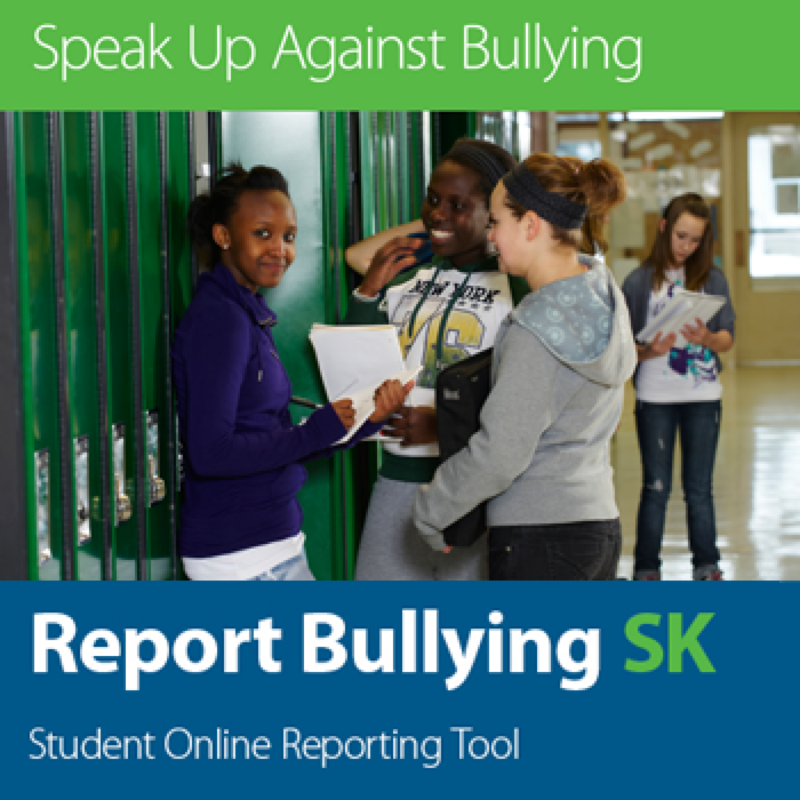 REPORT BULLYING SK is an anonymous and confidential online reporting tool for students. If you are being bullied, have witnessed someone else being bullied or if you or someone you know is at risk of hurting yourself or someone else - REPORT IT.